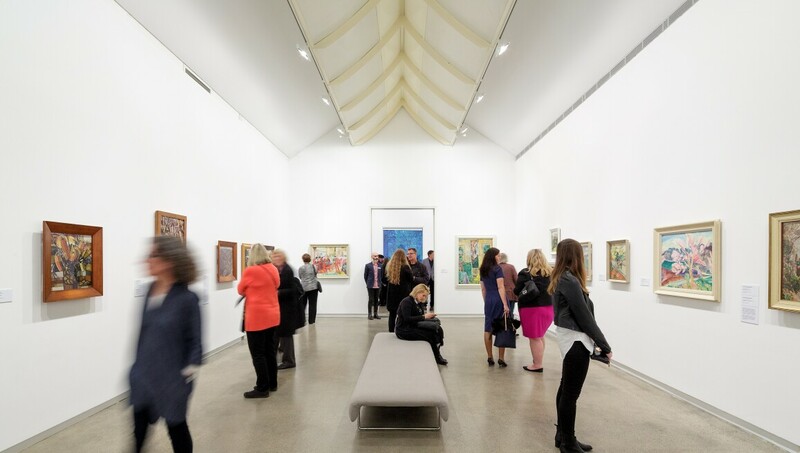 Heide Museum of Modern Art, or Heide, began life in 1934 as the Melbourne home of art patrons John and Sunday Reed, and has since evolved into one of Australia’s most significant cultural destinations. The Reeds promoted and encouraged successive generations of artists, including Albert Tucker, Sidney Nolan, Joy Hester and Charles Blackman—some of Australia’s most famous painters. Today at Heide, the Reeds’ legacy is honoured with a variety of changing exhibitions that draw on the museum’s modernist history and its founders’ philosophy of supporting innovative contemporary art. Having presented almost 300 solo, group and thematic exhibitions of modern and contemporary art since becoming a public art museum in 1981, Heide has gained a national reputation for artistic excellence and established a unique position in the overall artistic and cultural history of Australia. Located just twenty minutes from Melbourne’s CBD, Heide boasts sixteen acres of beautiful parkland, five exhibition spaces housed in buildings of architectural significance, two historic kitchen gardens, a sculpture park and the Heide Store. Café Heide serves coffee, breakfast and a delicious lunch-time menu that focuses on seasonal produce grown in the kitchen garden.